And here we are, on the 12th day before Christmas, so it is time to meet Hacivad Bey, the fearless and calm leader of the Karagöz puppets in day-to-day operations. In modern times, the puppets might refer to him as their Chief Operating Officer. Always cool, calm and collected, Hacivad Bey is a devotee of the Mevlana Rumi and is fond of quoting Rumi’s poetry from memory. Rumi rolls with the punches, always takes a positive view on life (unless he is really, really pressed, in which case he is known to rumble on occasion, as nobody is perfect. It is usually that Karagöz gets him worked up to this mental space). The puppets all look to Hacivad Bey to be the voice of reason, the maker of consensus, the level-headed leader, and he does not disappoint. You may recall that the puppets gave way to Hacivad Bey once confronted with the Sultan of Nutcrackers on Commercial Street in Provincetown – he was the natural leader one would gravitate to if a martian asking “take me to your leader” was met. 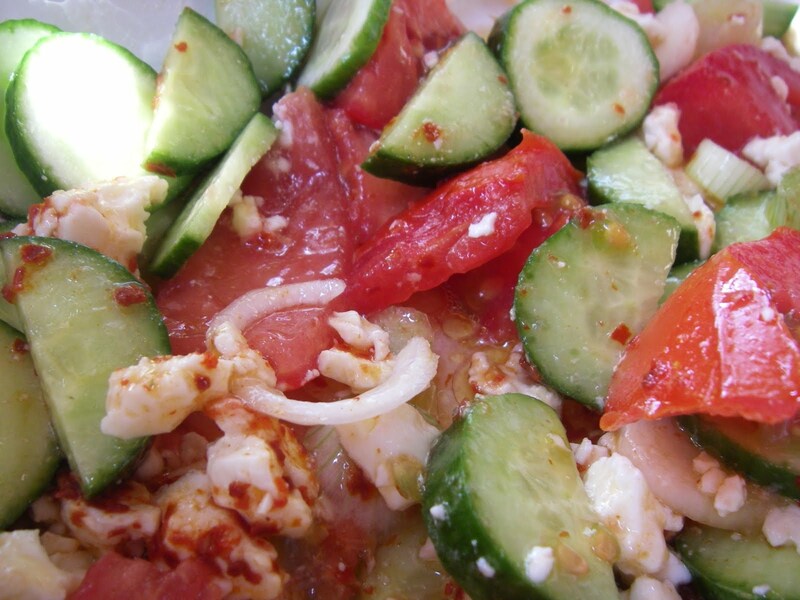 True to his cool nature, Hacivad Bey likes nothing more than a cool-as-a-cucumber Çoban Salatası (cho-bahn sah-lah-tah-suh, shepherd’s salad made from white cheese, cukes, tomato and lemon juice, at least in our house that is how it is made), with extra chunks of garlic and pul biber (a.k.a. Aleppo pepper) for comfort’s sake. He is a simple man in this way, appreciating the small things in life. As I am sitting here, writing and reflecting on the traditional characterizations of Hacivad Bey, as compared to the reality in my head, the man himself is sitting and watching, in the lotus position at the front of my keyboard. “Happy to hear, Hacivad Bey, how might the Mevlana characerize you?” I asked in a quiet voice, as others who don’t see puppets were around. And he did, and I did, and we remembered to always to do the best we could in this effort. 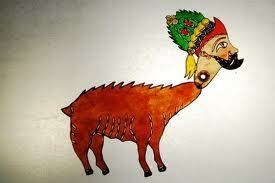 And so ends the 12 days before Christmas and the introduction to the heavy-hitting major players in the Karagöz shadow puppet troupe that inhabits my head. Tomorrow, we shall see what the puppet troupe is up to for Christmas eve…and I will have you know that it involves a lot of glitter. This entry was posted in Introducing the Karagöz puppets, On writing about my life with the Karagöz puppets, Turkish Food! and tagged Christmas, food, Hacivat, Karagöz and Hacivat, Ottoman Empire, Provincetown Massachusetts, pul biber, Rumi, Turkey. Bookmark the permalink.